One-Third of the super group ZoneThree. 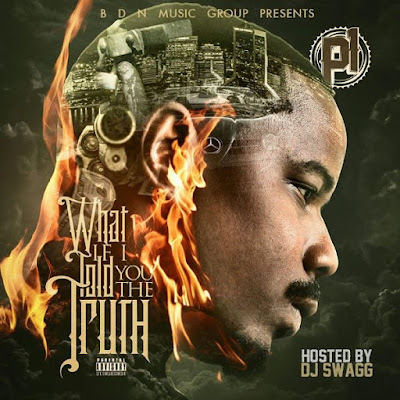 Artist P1 Releases his debut solo project WHAT IF I TOLD YOU THE TRUTH hosted by DJ SWAGG. This Album features special guests Lil Duvy, Border Rico, Chelsea, Fa Da Fam and of course ZONETHREE. 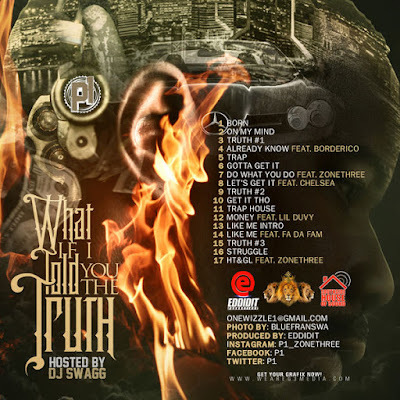 Consisting of 17 very solid consistent tracks. P1 opens up and shares his deep lyrics throughout. While keeping his flow and raising awareness. WHAT IF I TOLD YOU will not disappoint, especially for those who know lyrics still matter. 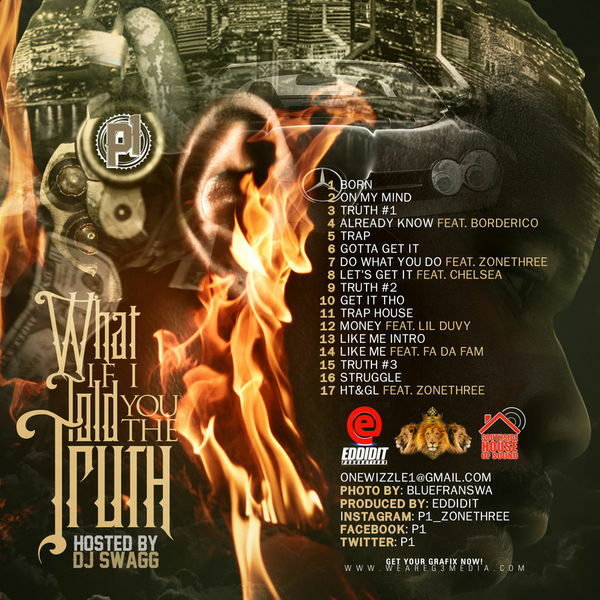 P1 is definitely an artist that is on the rise. Make sure to stay on the lookout for more dope vibes from P1 to come. Make sure to check out the lead single Gotta Get It video here. Make sure to follow P1 on his official Instagram for future updates and releases.